Oregon has so much to offer when it comes to nature excursions and eco-trips, which is why we have included this one-day Washington County nature tour on our list. This trip allows you to see the very best of what mother nature has to offer in the gorgeous state of Oregon, a place with coastline, coastal ranges, and coasts full of forests! Not only will you get to see it all, you will have the chance to explore it all and learn about all the local flora, fauna, and interesting geography while here! Kick back, relax, and get ready to see the best of Washington County’s wetlands, lowlands, treetops, and state parks! Spend your night after such an adventurous day in the nearby city of Portland to truly relax and have a great trip! 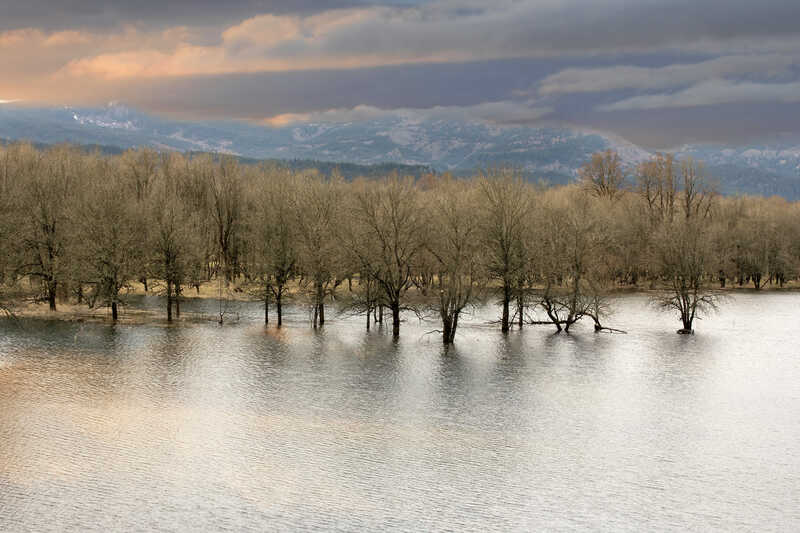 Tualatin River National Wildlife Refuge - On the outskirts of Portland, in the northwest corner of Oregon known for its wetlands, your group will find the 1,856 acre refuge known as the Tualatin River National Wildlife Refuge. These gorgeous 2.9 miles of wetlands and lowlands were established as a protected site in 1992, one of only a handful of urban national wildlife refuges in the country. This refuge is situated in the floodplain of the Tualatin River, comprising only one percent of the total 712 square miles of watershed in this region. The rich and diverse habitats within this refuge support some of the most abundant and varied wildlife, with over 200 species of birds, 50 mammals, 25 reptiles and amphibians, plus many insects, fish, and plants. Your group will love the various vistas and views and you will love all the educational opportunities to learn about regional wildlife and geography. This park is a key stop on the Pacific Flyway, so prepare yourselves to see many migratory waterfowl, shorebirds, and songbirds! Cook Park - Located in Tigard, along the banks of the Tualatin River, your group will find "endless opportunities to play and enjoy the outdoors" at the 79-acre Cook Park. Cook Park is known to be the largest park in the city, an outdoor wonderland filled with sports fields, picnic shelters, wetlands, wooded areas, open spaces, and even a butterfly garden. This beautiful riverfront location gives easy boating access to miles of scenic waterways, and there is a great chance your group will see such wildlife as blue herons or river otters along the way. Take advantage of the various hiking trails, over five miles of paths winding past wetlands and through forested riparian corridors. Some paths lead across meadows and wetlands, in which access to footbridges is highly important, especially in the wet season. Take the trail to the left of the playground through oaks, ponderosa pine, and big-leaf maple to find the butterfly garden and pond! Be sure to check out any events that may be happening in the park while here, such as the summer Festival of Balloons or Winter Waterfowl Watch. Hayden’s Lakefront - Take a break from your active morning and relax for lunch, as you enjoy this Tualatin favorite, Hayden’s Lakefront Grill. Here you will find award-winning food from local growers in a relaxed and beautiful atmosphere. Hayden’s operates on a concept of providing quality food and wonderful staff who are attentive to your needs. What better way to sell you on Hayden’s than by listing some of their most delicious dishes? Try the breakfast smoked salmon benedict or forest mushroom scramble, the lunchtime ahi tuna burger or jaeger schnitzel, or the dinner elk osso bucco or Pacific Northwest halibut. Any dish you get here will be sure to please, and the views both inside and out will as well! Jackson Bottom Wetlands Preserve - Get ready for some more natural fun as your group heads over to Hillsboro’s 725 acre wetland area along the Tualatin River, the Jackson Bottom Wetlands Preserve. This land was first used by native peoples for agriculture and hunting, a patch of land full of waterfowl and, well, water! The scene here provides a diverse, innovative, and exceptional recreational and cultural opportunity for the public, not to mention the pure beauty found here. Wear comfortable shoes and bring your camera as you explore the many different trails, as well as the 12,000 square foot Education Center, an exhibit hall filled with changing interactive exhibits on the wetlands. Here you will find natural history information and the only authentic bald eagle nest exhibit in the country. Head over to the Nature Store before you go to pick up any wanted souvenirs or educational materials, or just soak in the sights from this observation deck. Scoggins Valley Park and Henry Hagg Lake - Henry Hagg Lake is a part of Scoggins Valley Park and was first established and set aside as a protected park in the mid 1970s. This lake is located just 25 miles southwest of Portland, near Forest Grove, at the base of Oregon’s beautiful coastal range. The park is owned by the United State Bureau of Reclamation and works closely with Washington County to maintain. On site your group will find the best of many outdoor recreation activities, as well as picnic areas, two different boat launches, a fully stocked lake, over 13 miles of hiking and biking trails, and a large observation deck for wildlife and bird watching. Choose to hike, paddle, mountain bike, bird watch, or play a round at the 18-hole disc golf course while here, or perhaps just stroll around and take in all the sights and sounds of gorgeous Washington County. Tree to Tree Adventure Park - Next stop, Tree to Tree Adventure Park (T2T Park) a playground in the trees located a short distance from both Portland and the Oregon Coast, at scenic Hagg Lake. Here your group will find aerial rope courses, zip lines, and tree top obstacles unlike anything you’ve ever seen before. Experience the thrill of moving from limb to limb via shaky bridges, tight ropes, ziplines, and more. The company offers team-building sessions in which your group can experience nature while enhancing their interpersonal skills. These courses will challenge you to reach beyond the norm on both the ground and in the air, offering both half day and full day sessions. Whatever your group decides to do here the certified staff will safely assist along the way in this lush forest setting and ensure you have a great time. The park is open from March till mid-November, with team building offered year round. Stop by the gift shop on your way out to pick up any apparel, art, decor, or gift cards you may want for next time (because you’ll have to come back once you’ve tried it)! L.L Stub Stewart State Park - 34 miles west of Portland your group will your next stop, L.L. Stub Stewart State Park. This 1,654 acre state park is located in Washington County proper, near Buxton, a large park in which campers, hikers, cyclists, or equestrians can come and do what they do best: relax and regenerate! This park is actually the first new full-service park in the state since 1972, established in 2007. Here your group can explore and adventure across over 1,800 acres of rolling hills, forest glades, gleaming streams, and wildflowers, all crisscrossed with 25 miles of trails and magnificent views of the Coast Range. Enjoy the panoramic views at Hilltop’s day-use area or the two trailheads at the top of Clayhill or Forest. These trails are highly diverse, ranging from forgiving to quite challenging, both with ample wildlife viewing and scenery immersion. There is an 18-hole disc golf course, an amphitheater, a Welcome Center, an on-site store, campgrounds, and a Discovery Depot in which you can find information on local flora, fauna, and park history! McMenamins Grand Lodge -McMenamins Grand Lodge is a historic lodge with European style rooms, a relaxing soaking pool, two locally loved restaurants, and a full service bar with billiards! The owners of this establishment, brothers Mike and Brian McMenamin, started with a humble pub in 1974 and have since then expanded to owning a successful brewery, distillery, winery, two eateries, and even hotels. They are even now known for excellence in artwork, gardens and grounds, an expanding online market, and sustainability efforts. The Grand Lodge Theater brings old world charm to new world theater experience with movies daily in the deluxe rocker seats and couches. The Masonic and Eastern Star Property here now holds eateries, live music space, event rooms, and the spa, complete with a 102 degree soaking pool near the greenery. Before you go check out the disc-golf clubhouse or any of the 77 European style guestrooms!